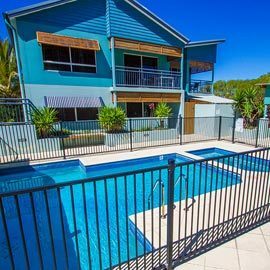 Welcome to 1770 Beach Accommodation’s finest selection of Holiday Homes in Agnes Water, Town of 1770, Rocky Point and Sunrise@ 1770. 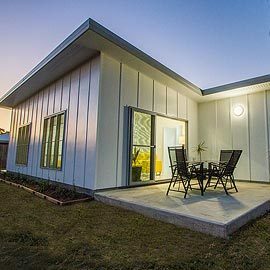 Whether you choose 1770 or Agnes Waters Accommodation that is “Boutique or Unique” – “Luxury or Laid Back” our carefully selected portfolio of Holiday Houses is designed to offer something for everyone. Cottages, Beach Shacks, Modern Apartments, Luxurious Beach Houses, Private Estates, Resort Facilities, Boat Friendly, Pet Friendly, Eco Friendly, Child Friendly, Tree Change or Sea Change, you can find and book the perfect Holiday House to come home to right here. If you need assistance feel free to call us on 07 4974 9990 or send us on online enquiry. Agnes Water and Town of 1770 offer many activities for holiday makers. Your holiday is about what you would like to do and where you would like to stay; we are more than happy to help you organize a massage on the deck, a Sunset cruise, an amazing day on the reef or great day fishing, try a round of golf or even join the locals in a fun day of lawn bowls. Walking tracks through the conservation parklands are also easily accessible and 4WD adventures through the National parks are only a few minutes away. View our tourist guide on our Things to Do page for more information. 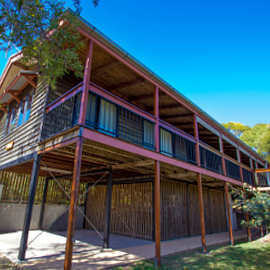 Ashanti offers a range of affordable Luxury accommodation, pet friendly, close to the Surf Beach and caters for overnight stays, short weekend getaways or longer stay holidays. Suited for the smaller family, single person or couples. 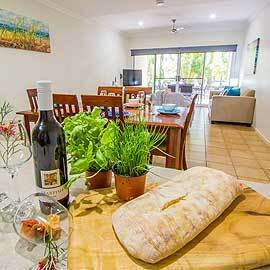 Auski Hideaway is situated along the Agnes Water beachfront, in a tropical Resort complex. Guests will enjoy use of the 4 pool areas (1 pool is heated during winter months) and community BBQ area. The Resort is only 2 minutes’ walk to a lovely Restaurant & Day Spa off site. The Agnes Water surf beach is a leisurely 300m walk. 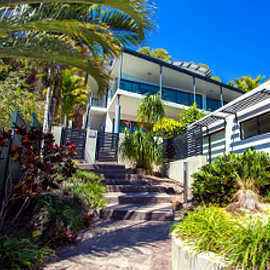 Baywatch 3 is situated along the Esplanade of 1770 in a small complex of only 3x apartments. Enjoy a short stroll to Restaurants, Beach and Parklands while being conveniently close to all activities offered in the area and departures to The Southern Great Barrier Reef at Lady Musgrave. Beach Fansea enjoys a prime position along the Agnes Water beachfront with direct access via a boardwalk and stairs to the beautiful 5 km expanse of surf beach. Spacious, beautifully maintained luxury accommodation in a quiet location, suitable for family and friends, fisherman, executive stays and couples. 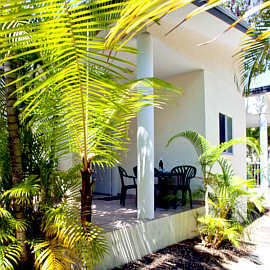 Beach Pad 2 is situated in a quiet no through road that runs onto the Agnes Water beachfront. This delightful 2 Bedroom holiday unit is perfectly situated for beach lovers and offers all the comforts of home, with new furnishings, modern appliances and quality bedding. Affordable, comfortable and well set up beach house with everything you need for a relaxing family holiday. Situated on the Headlands of 1770, Bimbimbi is a high set beach house designed to capture the Bay breezes with some Bay views. Enjoy sitting on the spacious private deck to view sunsets over Bustard Bay, or relax to the surrounding sounds of nature. Breakaway is a fully self-contained well situated beach holiday villa with all modern comforts, offering the perfect getaway along main beach for the single traveller, couples, or a family with 2 young children.